ANAHEIM, Calif. — Josh Perkins’ mouth was running and wasn’t going to stop until the ref T’d him up. After stealing the ball from Florida State’s Trent Forrest, the Gonzaga point guard went coast-to-coast and scored on an and-1 to put his team up 10 with 0.4 seconds left in the first half Thursday. Three hundred seventy days earlier, in the adjacent county of Los Angeles, Florida State beat Gonzaga by 15 points to advance to the Elite Eight. The Seminoles jumped out to a 10-point lead in the first five minutes, took a nine-point lead into halftime, and toyed with a team that would never get to within one possession of a tie. But Thursday at Honda Center, in the same round as the last time these teams met, it was the Zags who were on the offensive. And after beating Florida State, 72-58, they felt free to use the “R’ word at will. The goals of the top-seeded Zags (33-3) go beyond mere vengeance. They have the nation’s most potent offense and boast two potential NBA lottery picks in Hachimura and center Brandon Clarke. Of course, the manner in which it got its redemption came in a not-so Gonzaga way. Posting a country-leading 88.8 points per game before tip off, the Zags have generally relied on scoring to vanquish their opponents. Thursday, however, they held Florida State to 16 points fewer than its season average, protecting the rim, dominating the glass, and all but eliminating the three-point threat. The star on that end of the floor was Clarke, a San Jose State transfer who watched last year’s loss from his dorm room in Spokane. The junior had five blocks Thursday and countless alterations — not to mention 15 points and 12 rebounds. But you didn’t need to watch the game to know that Clarke played a crucial role in the win. For Killian Tillie? Different story. Despite being listed as a starter 30 minutes before tipoff, Tillie missed last year’s game vs. Florida State after aggravating a hip injury during warmups. This year, he played 20 minutes, where he scored three points to go along with five boards and a block. That line might not stand out in the box score, but he was key in contesting three-pointers, of which the Seminoles made just three of 20 — and he pulled down a mammoth defensive rebound when the Zags held a four-point lead with 3:25 to go. Twenty-three seconds later, Gonzaga guard Zach Norvell Jr. hit his fourth deep ball of the game to put his team ahead by seven. FSU never threatened again. Norvell finished with 14 points while Hachimura pitched in a team-high 17. Considering those two, along with Perkins and Clarke, all came into the game averaging double-digits, the stat sheet was pretty chalk as far as scoring distribution goes. 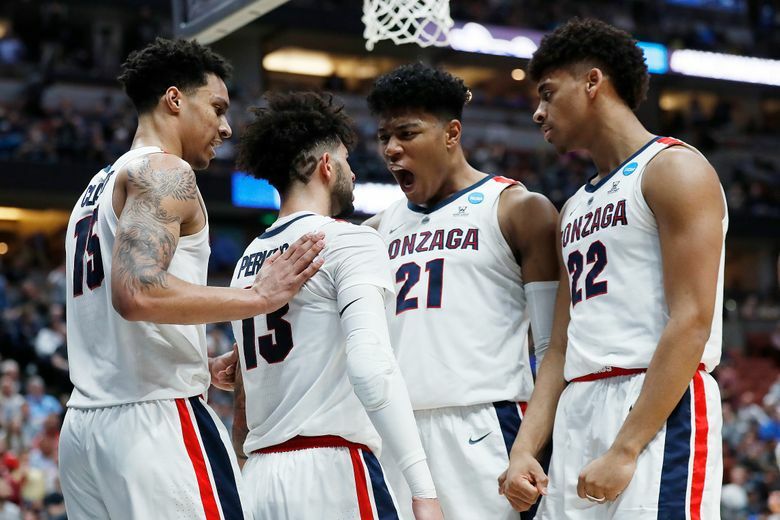 But regardless of how it happened, the fact is — Gonzaga is a win away from returning to the Final Four for the second time in three years. Tillie’s older brother Kim played college hoops at Utah, but never made it past the first round. So before coming to Gonzaga from France, Killian didn’t really grasp how coveted a stage the Final Four was in the United States. Thursday, Gonzaga had the opportunity for revenge. Saturday, it has the opportunity to go to Minneapolis by beating Texas Tech. And based on what this team has achieved this year, it doesn’t seem like one to let opportunities slip.